If you need commercial heating solutions, or residential and home heating repair or installation, EZ Temp of Bergen County is your best bet. Our commercial heating services include installation, maintenance, and repair of furnaces, rooftop heating units, boilers, and package heated make up, among many others types of heating units. 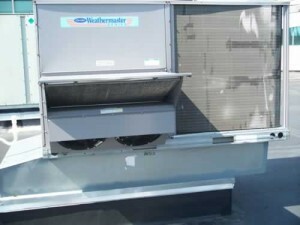 We also offer 24 hour emergency maintenance and heating & cooling repair, should any problems arise. EZ Temp’s heating maintenance team can be on site at any hour, any day, to keep you warm in these colder months. We understand that your workplace demands commercial and industrial solutions that go beyond residential requirements, and we’re ready to offer you the best selection of heating units, as well as the skills necessary to install and repair them. Our professional installation and maintenance team carefully considers the layout of your office or workplace, as well as your individual needs, and can help you make the best, most efficient choice when looking for heaters of all different types and sizes. EZ Temp also promises an affordable, honest estimate, and our experienced staff helps throughout the decision-making process, as well as the initial installation period and any necessary maintenance thereafter. Read the many testimonials from our satisfied customers, and go with a company that has a trusted reputation and technicians with over 15 years of experience in the industry. Offering professional installation and maintenance service in the counties of Bergen, Passaic, and Hudson when you need it, as well as 24/7 emergency service.